Gillie Boatworks is a marine fabrication and repair institution. We specialize in marine design and construction, hull repairs, and restorations. We are experienced in working with both fiberglass and wood. 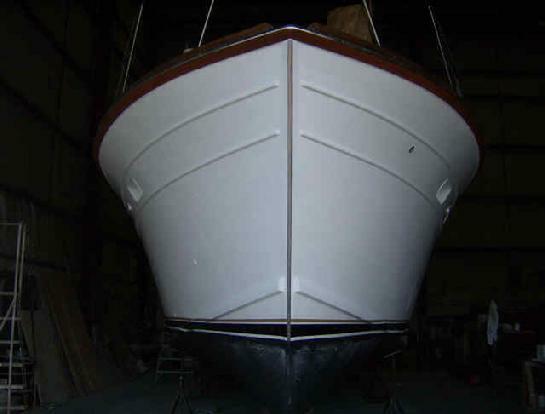 Gillie Boatworks is devoted to quality work, and it is our feeling that if the task is possible, there is no reason why we cannot accomplish the job successfully. Before Gillie Boatworks. For more, click onto "The Voyager." 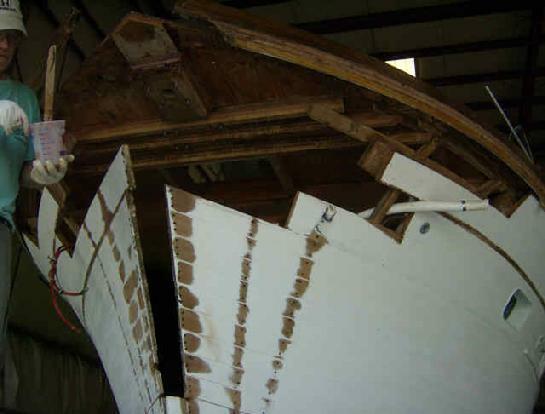 Before a Gillie Boatworks Restoration. For more, click onto "1957 Glastron." After an upgrade from Gillie Boatworks. Whether your vessel's needs range from minor to extensive, cosmetic, or structural, Gillie Boatworks is well equiped to handle the job.